Authorities who designed, approved and built the sinking and tilting Millennium Tower received another public grilling on Friday. 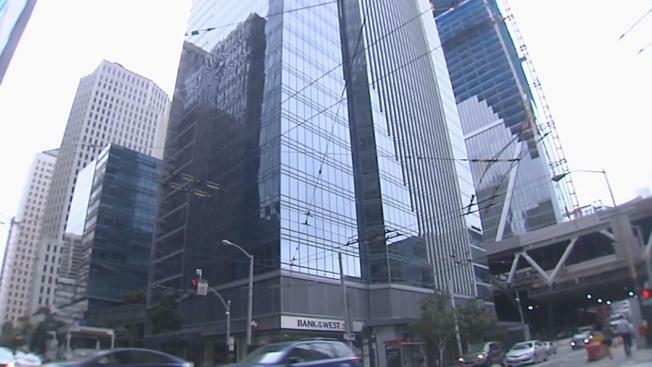 San Francisco supervisors held another hearing at City Hall, focusing on how the project got approved despite warnings about the design. But the questions did not just come from supervisors. Some very angry residents who live in the multi-million dollar tower also showed up to the hearing. Frank Jernigan and Andrew Faulk live in the Millennium Tower, a luxury high rise that has sunk at least 16 inches and is tilting at least two inches. The residents brought along a video of a rolling marble inside of their unit to demonstrate the problem. "We haven't heard that anybody is talking about solving the problem," Jernigan said. Jernigan and Faulk came to City Hall for some answers, but did not get many. "It sounded like a lot of legal pursuit, but without any real...no one is really responsible," Faulk said. San Francisco Supervisor Aaron Peskin sponsored the hearing and is asking about why nobody requested a peer review on the tower's foundation. A peer review ended up halting the construction of a tower with a very similar foundation in 2004 and just a short distance away from the Millennium Tower. "Natoma, which was projected to sink some 11 inches was actually scrapped," Peskin said. The building department said it is taking action, but it may seem like a hollow promise to residents. "We do have a door that is opening to the northwest slowly all the time," Faulk said. The developer continues to insist the building is safe. Those in the building said they are not convinced. "The bottom line is we're concerned about an earthquake," Faulk said. "We're very worried is that building safe?"